Divorce provokes emotions like anger, frustration and hurt. 2 How Do I Help My Ex-Husband Move On? 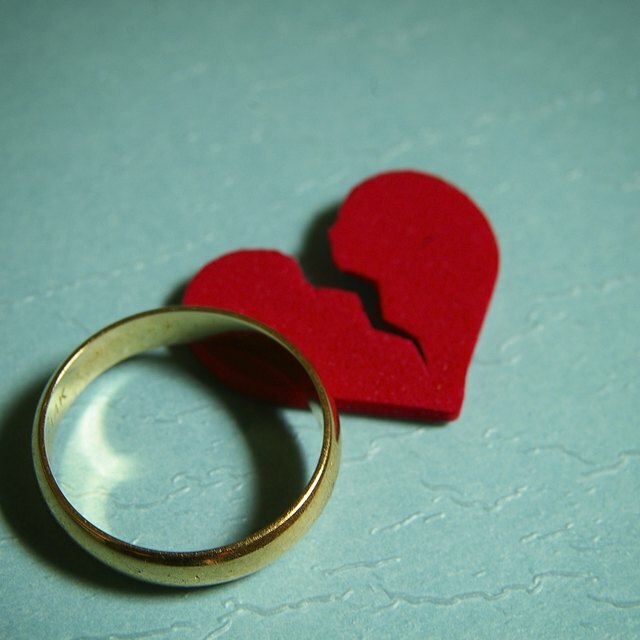 Divorce is commonly associated with feelings of anger and rejection. While it is normal to feel this way, it is unhealthy to allow these feelings to go unresolved. There are many ways to work through anger, like physical activity, counseling or anger management. Working through your anger will help bring you through the divorce and release the sadness you hold inside. A wife who has been cheated on by her husband is going to be angry. You have to work through the bitterness and hurt in order to resolve anger. Attending anger management classes can aid in finding forgiveness for your ex-husband. Forgiveness does not mean you accept your ex-husband's infidelity; it means that you will no longer hold on to ill will in your heart. It may take some time to be able to forgive your ex-spouse, but it can take a huge weight off your shoulders and help you move on. The pain of divorce is comparable to grieving a death. It's normal to feel a range of emotions, including anger. The anger you feel may be masking feelings of abandonment, loneliness and fear. Allow yourself to express your grief over the loss of the one relationship you thought would last forever. Don't try to ignore or bury your feelings. Writing your feelings in a journal can help with this process, as can creative writing like poetry. It can also help to talk to someone about the feelings. Expressing your inner feelings will help ease the anger gradually. The anger felt after a divorce often masks self-esteem issues, especially where infidelity has occurred. You may feel rejected and betrayed by your partner, even after the divorce. In order to work through the anger, you can work on rebuilding your self-esteem. Try activities like meditation, exercise or visiting a support group. These can help you rebuild self-esteem while you work through the anger from infidelity and divorce. Setting new goals can take your focus and attention away from being angry. Instead of spending your time and energy thinking about your ex-husband's infidelity, you put that energy toward bettering yourself. These goals can involve finding a new job or getting training to improve your job prospects if your finances have suffered from the divorce. Goals can also revolve household tasks needing to be finished or other small personal projects. Perhaps you simply want to set some personal development goals that make you feel better about yourself. The small successes will add a feeling of accomplishment to your life and can aid in letting go of anger. Affair Recovery: How Do You Deal With Anger After Infidelity?